The Alpine Music Safe Em´s 4 Bubs Baby Ear Muffs Hearing Protection White, Blue & White are the world’s first set of protective ear muffs for babies! Keep your little one’s ears safe and comfortable with these superb and high-quality protective ear defenders which come in a variety of funky designs. The adjustable and interchangeable headband keeps the protective cups in place and prevents any uneven pressure on the sides of your baby’s head. The Em´s 4 Bubs Baby Ear Muffs are recommended for ages newborn to 18 months. Choose from our range of colours available. 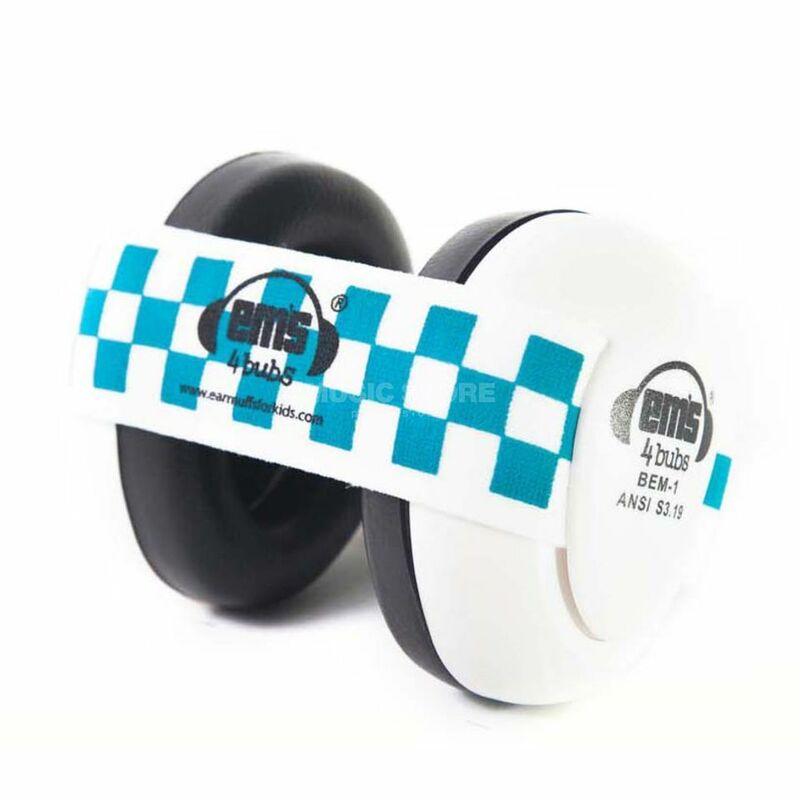 Em’s 4 Kids products are thoroughly tested and checked, and are certified by the American National Standards Institute and the European standard for ear protection.